The colors of the birds can change so dramatically when it is breeding season. 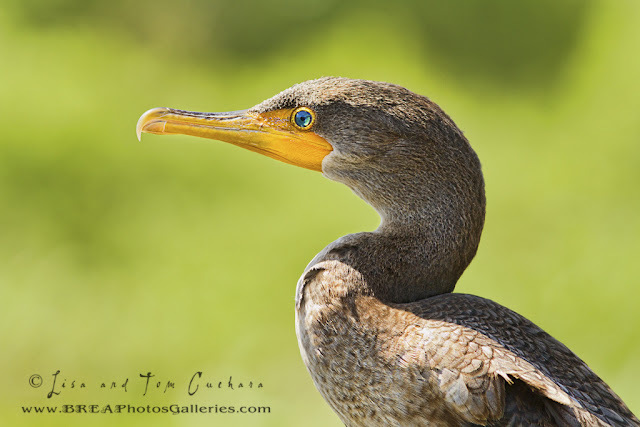 I made sure to capture the eyes and position the head against a blurred background when photographing this Cormorant on the Anhinga Trail in Florida. They are very habituated towards humans and will sit right on the railing for you to photograph them!